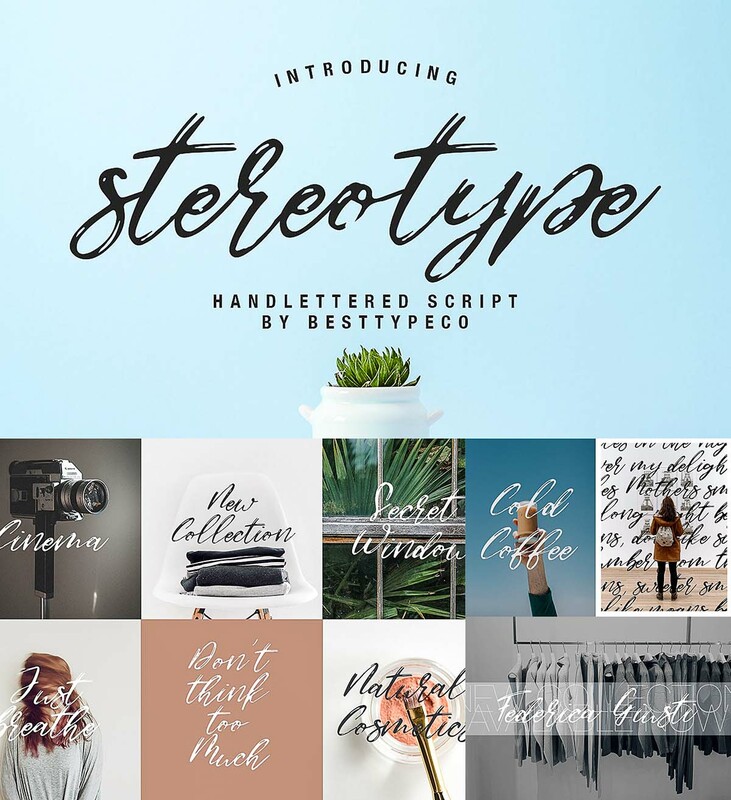 Introducing StereoType – a new fresh handmade calligraphy font. Very suitable for greeting cards, branding materials, business cards, quotes, posters, and more! This font are perfect for wedding postcard. Or you can create perfect and unique design of your logo, blog, stationery, marketing, magazines and more. Tags: cursive font, elegant font, feminine, handwritten, minimal, rough, wedding font.